Fomer Packers wide receiver Jordy Nelson announced his retirement from the NFL after 10 seasons earlier this offseason, but could be swayed if there’s a call made by a certain Packer quarterback to come back. 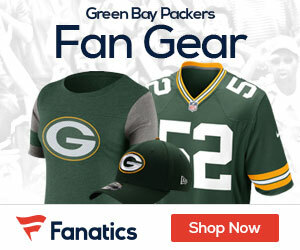 During an appearance on the Dan Patrick Show on Wednesday, Nelson said, “it probably would be hard to say no” if Aaron Rodgers called him and asked him to un-retire and play for the Packers in 2019. It would be amazing if Nelson would return, but then again clearly he’s not the same player that he was before he tore his ACL. Nelson caught 550 passes for 7,848 yards and 69 touchdowns in his first run with the Packers before he left for a forgettable season with the Oakland Raiders. He will turn 34 years old later this offseason.